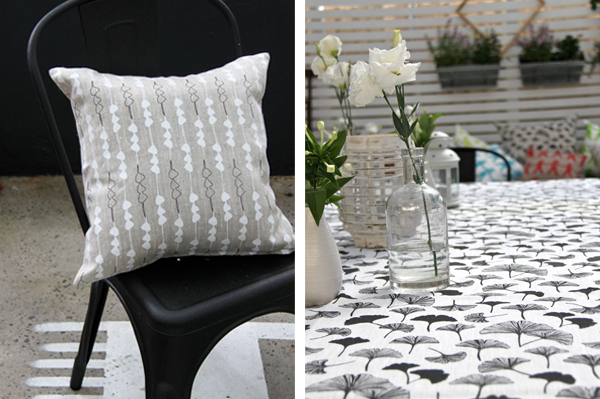 FK chat to Janet from Feloffa Designs about working with textiles and how she came up with her brand name! Can you introduce us to your handmade label, Feloffa Designs and where the name originates from? 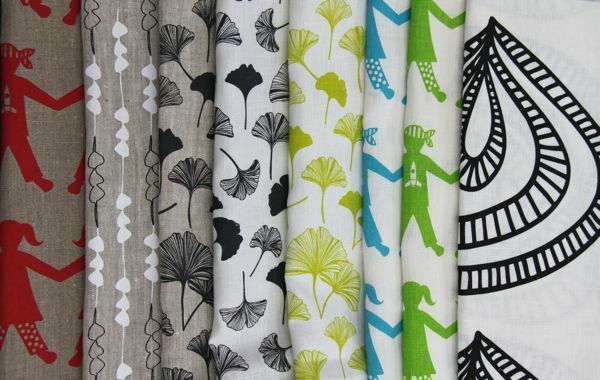 Feloffa Designs, “textiles for the glorybox” is a small cottage industry, designing and producing small yardage runs and a range of quality products. My goal is to create timeless fabric that is unique, using natural fibres and sustainable methods. The products ranges from totes bags, cushions, lamps, tunics to button badges made from left over fabric and small runs of yardage. 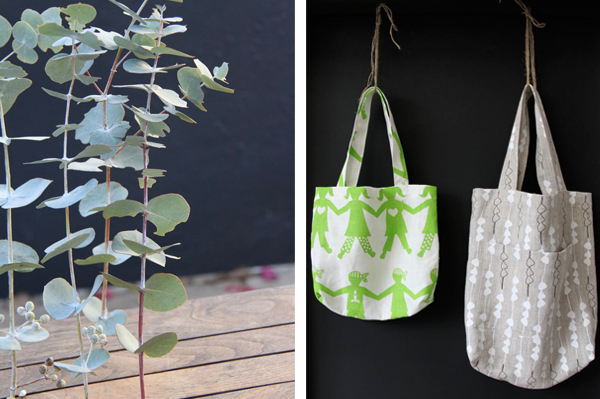 It is all proudly Australian and handmade. As I enjoy a bit of silliness in life, the name FELOFFA actually comes from a silly name that a friend of mine made up a long time ago. My last name is Rockliffe, fell off a Rock cliff… I told you it was silly! 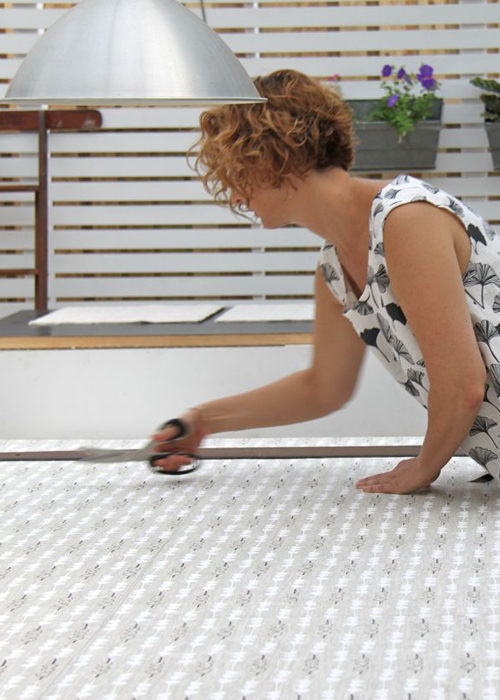 I feel that with textiles I can create designs and printed fabrics that are a new form of expression or art. They can be worn, enjoyed in your home or made into whatever you have a desire for. 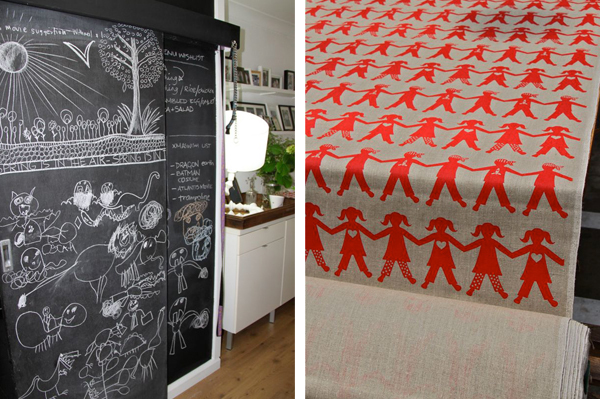 It’s amazing how much fabric can change a room, it is like choosing an artwork for your wall. You can have a single focal piece or enjoy an eclectic collection. The possibilities are endless. I love the feel and texture of all the beautiful natural fibres. Feloffa began with my passion for the home, comfort and beautiful things. Having had a long career of the last 16 years in Interior Design and styling, my home, making it cosy and inviting, has always been very important to me. After I finished high school I had studied Visual Merchandising, sign writing and screen printing and have always had the desire to get back into the screen printing side. Over the last 10 years I have gathered a collection of my drawings and 5 years ago started planning my first print. It is so exciting and I just love the whole process from concept to finished product. Where do you go to find inspiration for your prints? My designs are all hand drawn and very simple. I love to look for inspiration in my surrounds, especially our natural environment. In trees, leaves, flowers animals, water, shadows, everything. I am endlessly amazed at what beauty nature can produce. I carry my camera all the time and look for patterns and shapes not only in nature, but also our crazy concrete jungle. My gorgeous son Oscar, also inspires me when we draw and scribble together, sometimes these marks on paper can lead to a new design idea. What do you love about living in Sydney, and what is your workspace like? I would have to say the diversity of it. I love the fact that we have many different cultures that we can enjoy and embrace. Also the diversity of it’s surrounds with the beaches and great outdoor spaces. I am very happy to see a revival in the art and craft scene in Sydney. My workspace currently is in my lovely home. I have a small room that is shared with all our books. This is where I store my yardage, products and art equipment. Other than using my computer, I tend to use the dining room to draw, paint and sew as there is much more space and we have a big chalkboard wall that I share with my son to play with new ideas. I also have a beautiful outdoor pergola area that I can cut fabric, screen print and paint in the lovely warm and dry months. As nice as it is to work at home, I am looking forward to being able to set up a fantastic creative space away from home. What can we expect to see at the upcoming Sydney Finders Keepers? How exciting, I have had my ideas and range together now for quite sometime and I am over the moon that Feloffa is launching at the finders keepers market. You can see the designs in the range of 100% Linen products, including cushions, table runners, tote bags, tunics, vests, lamps, T-towels and badges. Come by and say hello! My wife and I have been lucky enough to see some of Janet’s work through mutual friends. It is all so fresh superbly printed. She really is a rising star and we intend to follow her products and career with interest. Thank you for giving her the opportunity for wider exposure. These are just gorgeous Janet…… Good for you Beautiful…. I am going to forward on to a few friends as well. You are so Clever!!! !